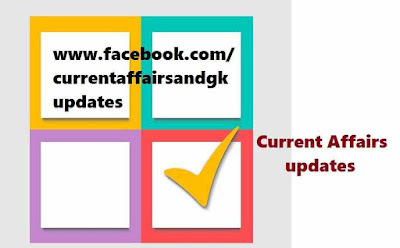 Current Affairs updates till 11th September 2015 are covered. Updates on 10th September and 11th September are covered. 1.Australian Wicket Keeper Brad Haddin has retired from Test Cricket.He stopped playing ODI (One Day International) matches earlier this year.He will also not play for his domestic state team New south Wales. 2.President Pranab Mukerjee awarded Gandhi Peace Award 2014 to ISRO (Indian Space Research Institute) in recognition of it's services in developing India through the use of Space Technology and Space based services. DARE (Defence Avionics Research Establishment),an establishmant of DRDO since July,2014. 4.Anirudh Kathirvel,a 9 year old Indian Origin boy is Australia's new Spelling Champion.He won 50,000 dollars after winning "The Great Australian Spelling Bee" Competition. 5.The 89 Year Old Queen Elizabeth became longest reigning British monarch,edging past the 63 years and 216 days that her Grand Mother Victoria reigned. be available for the world to access online. 8.Agriculture expert Professor Ramesh Chand has been appointed as a new full time member of the NITI Aayog.He has been working as the Director of National Institute of Agricultural Economics and Policy Research (NIAP) in New Delhi since 2010. The above mentioned updates on Current Events,latest happenings helps you in dealing with Current Affairs Section (General Awareness) in Recruitment and Competitive Examinations like SSC(Staff Selection Commission), RRB(Railway Recruitment Board),IBPS,SBI Recruitment,RBI and Other Bank Recruitment Tests, Insurance,Postal and other State level Recruitment Tests (TSPSC , APPSC,Haryan Board etc).